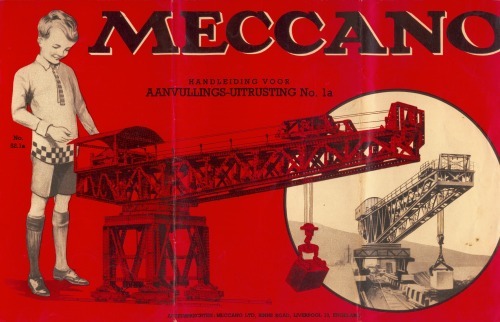 Vintage 1932 Meccano Instruction Manual for Outfit # 0. Scarce Dutch version, print # 13/532/10 / No. 32/0, printed in May 1932 in a total edition of 10,000 pcs. 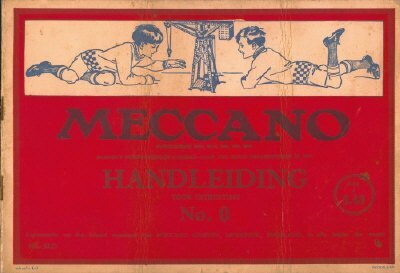 Vintage 1952 Meccano Box for Accessory Outfit # 2a. Scarce Dutch version, no print # but the lid still contains the original warranty certificate which carries print # 17/1152/50 which dates the certificate to November 1952. Measures approximately 13 x 5.25 inches. 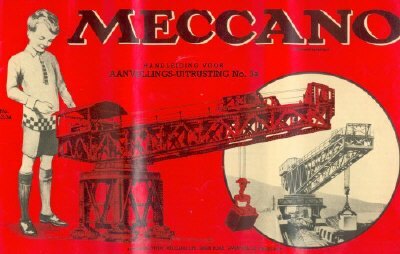 Vintage 1953 Meccano Manual for Accessory Outfit # 3a. Scarce Dutch version, print # 13/1153/4 / No. 53.3a, printed in November 1953 in a total edition of 4,000 pcs. 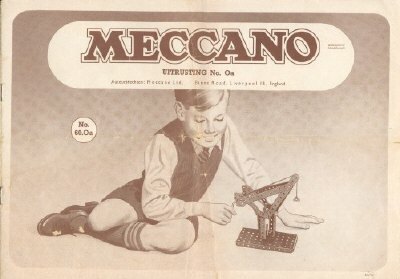 Vintage 1959 Meccano Catalog for Accessory Outfit # 2a. Dutch version, print # 59.2A, 13/459/6, printed in April 1959 in a total edition of 6,000 pcs. Excellent condition for age but has been folded twice (visible in the scan). 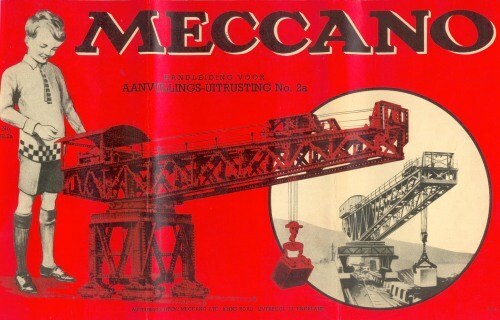 Vintage 1959 Meccano Box for Accessory Outfit # 2a. Scarce Dutch version, no print # but the lid still contains the original warranty certificate which carries print # 17/459/75 which dates the certificate to April 1959. Vintage 1959 / 1960 Meccano Instruction Manual for Outfit # 0a. Scarce Dutch version, print # 13/1159/6 / No. 60.0a, printed in November 1959 for the 1960 season in a total edition of 6,000 pcs. Reasonable condition for age but has been folded twice to fit the box. 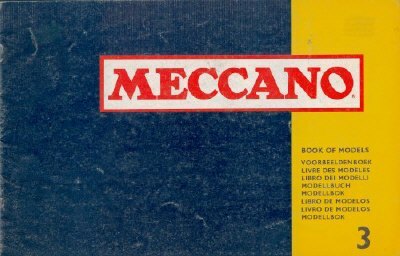 Vintage 1961 Meccano Book of Models # 3. Multi-lingual version, print # 16261, 2nd Impression. 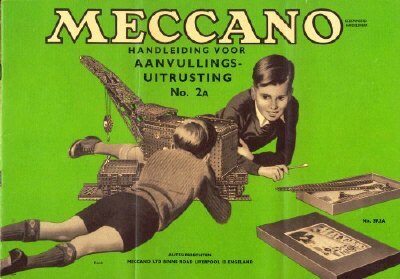 Vintage Meccano Box No. 1a. Good condition for age but has been dented on the right side (not badly).